You may have read some of our articles on the new packaged bathroom deals that we can offer for tub replacements, tub to shower conversions and full bathroom remodeling projects and probably have wondered about the products we can offer for these deals… Just to be clear, this is not a situation where we bring along cheap products from box stores that will fall apart in a year or two. We leave that up to the dirt cheap contractors that don’t really care about quality work across the board. In an effort to keep our bar raised on quality standards, we have a select line of products to choose from that will end up in a great price. This is a combination of our purchasing power and the willingness of our suppliers to streamline pricing on products that we use frequently. Between all that, it only makes sense to offer these things that will save you money in the long run and bring a bathroom that will last a long time with worry free maintenance. Although some of the selections are limited, we will bring them to you! This saves you time and money from traveling to suppliers and showrooms that pretty much do nothing but confuse both you and your contractor. 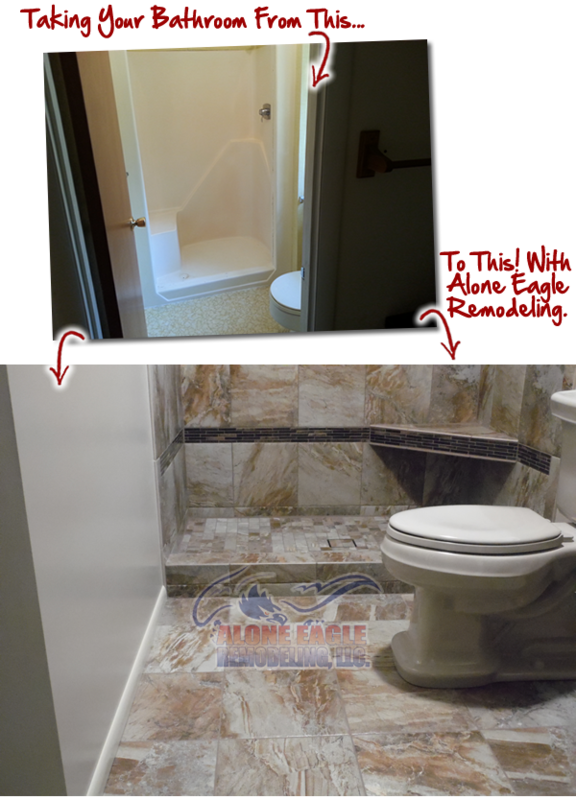 If you’re looking for a fully custom bathroom with expensive tile then that may be the case but we can bring along selections of basic colors that will blend with the decor of your home. We’ve found that in a lot of cases, a limited selection is easier to choose from especially when budget is a concern so keeping an open mind will literally cut out the stress and keep your busy schedule of life… on schedule. The list goes on from there but just know that we can help keep the process quick and simple. There may be some situations where you’d like to supply your own sink or cabinet, lighting etc… That’s perfectly fine and we’ve always worked with homeowners on that end of the spectrum. 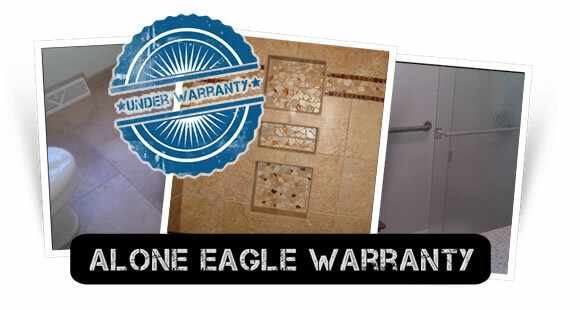 All that said, we do try to supply the bulk of the products like mortar, grout, waterproofing, tubs, faucets, tile etc… so that we can offer our full warranty on the project. It’s not only that, but when you decide to go very cheap on something tile… there’s always the option of the $0.59 per square foot special at a box store. Seems appealing, however, those tiles are all out of square to a point where it takes longer to install or just the simple fact that out of square tiles require much larger grout joints so they can be smudged around to appear like their almost square. If you have any questions or would like to get the ball rolling with a meeting at your home, please feel free to use any of our contact forms to get in touch and we’ll go from there!